Monero represents a currency system that is secure, untraceable and private. According to its website, the system uses a unique cryptography mechanism in order to ensure that all financial transactions that are being processed by the system will remain untraceable and unlinkable. Monero is a solution that for necessities that appear in a world of growing transparency. The people behind Monero had put the accent on developing a secure system. That is why their cryptographic system is packed with features like ring confidential transaction, stealth addresses, and ring signatures. Like Bitcoin, Litecoin. Ethereum and many other cryptocurrencies, Monero comes as an alternative to fiat money and tries to differentiate from the competitors with some unique features and functions. The system has some similarities, but there are also some key interesting aspects that we will discuss in this material. The project first started in July 2012, as ByteCoin and functioned as an application layer protocol that fueled various cryptocurrencies. On some aspects, it was similar to bitcoin but had some distinguishing features as well. There were some bad rumors about the system at some point and people find out that 80% of the coins were already published. Because of that, the blockchain had been split and the new digital coin had been named Bitmonero, and eventually got the name Monero, which means “coin” in Esperanto. 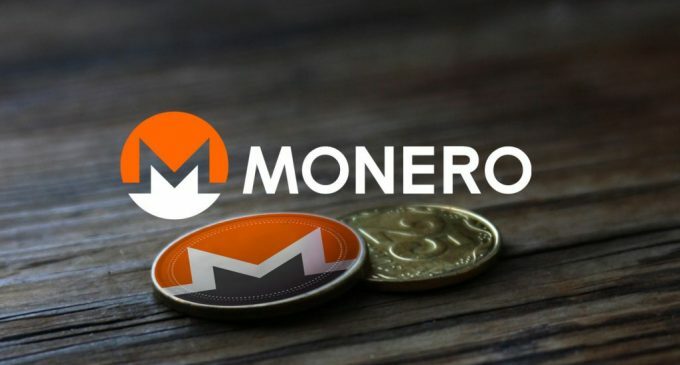 The Monero system is open-source and crowdfunded, and it is currently headed by 7 developers, David Latapie, Riccardo Spagni and 5 others that decided to remain anonymous. Also, at this point in time, Monero is among the most popular cryptocurrencies on the planet and managed to gain a strong and robust reputation. One of the most important features of the Monero system is dynamic scalability. That means there is no limit to the block size, as we can see in the case of bitcoin. This can have a negative impact as well if malicious miner wants to slow down the well-functioning of the system with very big blocks. But, there is a solution for that matter and it is called a block reward penalty. Another key aspect which needs to be mentioned about Monero is that the system is ASIC Resistant. That means no miner can use advanced hardware to mine Monero. The system had been built in order to ensure a greater level of fairness and decentralization in order to make the cryptocurrency more evenly distributed. The cryptographic system is also packed with some unique features like ring signatures, stealth addresses and ring confidential transactions. Can you mine for Monero? How is Monero mined? Monero is one of the cryptocurrencies that can be mined and the mining process is very similar to Bitcoin. The Monero system also uses the proof-of-work method, which means miners have to solve complex mathematical equations after managing to process a transaction, in order to receive prizes in digital coins. Monero mining cannot be done with ASICs, as the creators did not want to rely on just a few farms or mining pools. Their goal was to attract more little nodes and that is why Monero mining can be done with any CPU or GPU. A new block is being added every 2 minutes on the blockchain and in the case of Monero, blocks can have variable lengths. Monero is a very attractive coin to mine especially for those that can’t afford to buy expensive equipment and just want to use their personal computer or laptop. Where can I buy Monero? The best place to buy Monero, if you do not want to waste time mining it is an exchange platform. Exchanges are places that facilitate the swap of fiat money with cryptocurrencies and vice versa. Also, there you can change one cryptocurrency with another. When we talk about exchanges for Monero, one of the best exchange platforms out there is hitbtc.com and we have already reviewed in on our website. You can find more information about it and also about other exchange brokers in the dedicated section of our website. Changelly is also a good exchange platform that already has support for Monero and you will find it reviewed on our website as well. How can I sell my Monero? Most likely there will be times when you would like to change your Monero coins for fiat money or to exchange them with other cryptocurrencies. The exchange platforms represent the best place for selling Monero as well. We’ve already mentioned Changelly and hitbtc.com, both of which have already been reviewed on our website and already have an established track record and high clientele. Selling is an effective way to cash out, and you will definitely need a trustful place to do it. You’ll find other exchange broker reviews on our website, as well. Which Monero wallet should I use? You will definitely need a wallet in order to store your private keys. In order to do that, you currently have two options: hardware wallets and online wallets. Hardware wallets are the most secure devices which can be used to store cryptocurrencies. Two of the wallets providers that plan to implement support for Monero in the near future are Ledger and Trezor. We’ve already reviewed them both in our crypto wallets section. They have a good reputation and are both packed with a tone of features. In terms of online wallets, one of the best wallet providers is MyMonero, owned by one of Monero’s lead developers. If you want to find out more about crypto wallets, we have a dedicated section on our website where you can find a lot of reviews. If you do not want to get involved in the mining process and you want to avoid the whole process of having an online wallet, which by the way has a lower level of security, but you still want to get involved and profit from the fluctuations of cryptocurrencies, you can trade them as well. When it comes to Monero, IQ Option is one of the brokers that have included it on their instruments list. You’ll find a review of the broker in the cryptocurrency brokers section on our website.